Do you lie awake at night wishing that you or your child could learn to code? Well, now’s a good chance to grab the Kano touch kit. It’s a great way to practice coding, and it’s on sale right now. Coding is a valuable skill, but it isn’t just for full-time or would-be programmers. Learning to code is almost like learning a language. It’s a great hobby that stretches your critical thinking skills, and although it could lead to a job, it doesn’t need to. That’s why we’re always excited to talk about coding kits, especially the Kano kit. Coding kits are educational products that are geared toward kids, but adults can benefit from them as well. These products teach you how to code a computer from the ground up, and they really aren’t too expensive. Right now, the Kano touch kit is on sale for just $168—that’s a $112 discount. 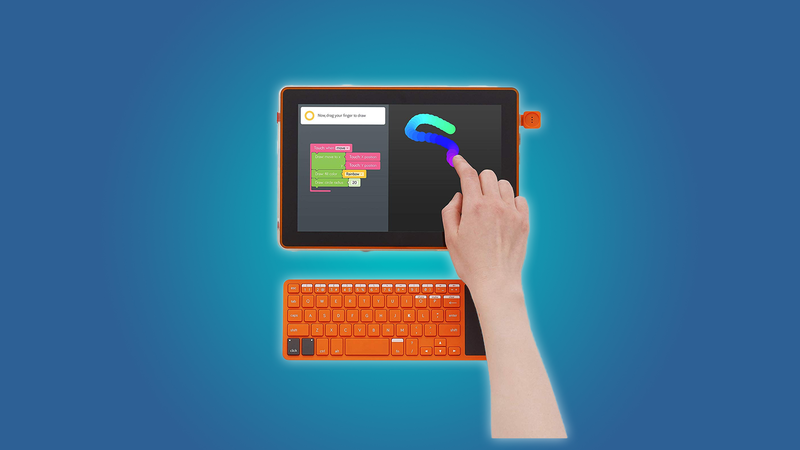 The Kano touch kit teaches you how to build software on a touchscreen tablet. With the Kano touch kit, you get a Raspberry Pi 3, a 10″ touchscreen tablet, a keyboard, a case and stand, a DIY speaker, and a step-by-step instruction book. The Kano kit also gives you access to the Kano community, where thousands of users upload their custom code, and instructions on how to hack Minecraft.